Now that the housing market has stabilized, more and more homeowners are considering moving up to the home they have always dreamed of. Prices are still below those of a few years ago and interest rates have stayed near historic lows. According to Freddie Mac, the current 30-year fixed rate is currently around 3.75%. 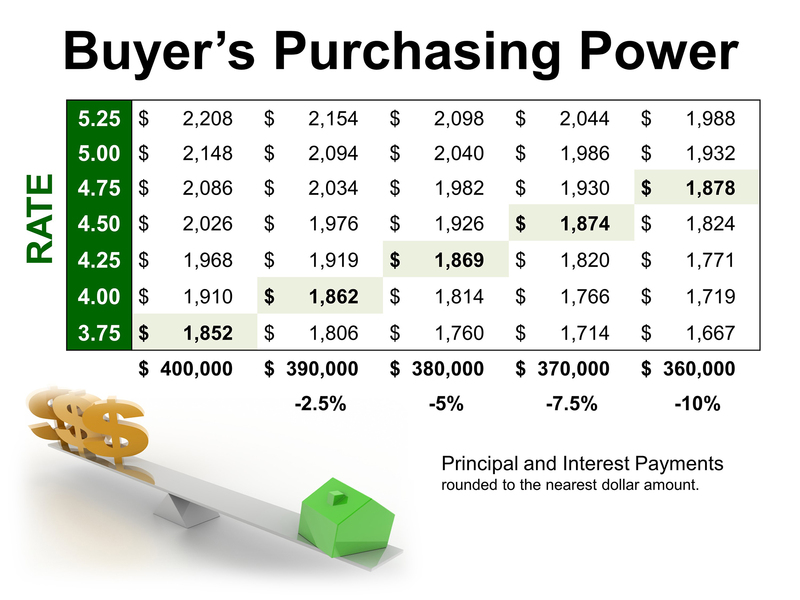 With each quarter of a percent increase in interest rate, the value of the home you can afford decreases by 2.5% (in this example, by $10,000).